Elizabeth studied psychology at the University of London (Royal Holloway College) before completing a Masters in sport and exercise psychology at Loughborough University, where subsequently she was awarded a doctorate. Her doctoral research was focused upon junior athletes making the transition to senior level. 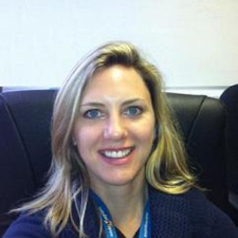 She is a BASES-accredited (British Association of Sport and Exercise Sciences) sport and exercise scientist, as well as a British Psychological Society chartered sport psychologist, and HCPC registered practitioner psychologist. She has worked with athletes from a number of sports but specialise in work with equestrian competitors and tennis athletes, helping them make the transition to higher level performance. Before joining Kingston University, she was Head of Sport Psychology for the elite training programme at one of a small number of international high performance tennis centres in the UK. She is still active within tennis, working closely with the International Tennis Federation.